The largest carrier on the face of the earth, China Mobile, will be soon offering the Nokia Lumia 920T to its customers. Just announced by Nokia on Wednesday, and designed just for China Mobile, the handset connects with the mobile operator's proprietary TD-SCMA pipeline. 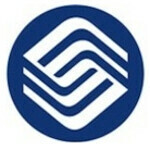 This is the 3G technology that has kept the Apple iPhone off of China Mobile's lineup. But this should be no surprise to you as back in October, we passed along word that this very model existed and was coming to China Mobile. Back then, the model was a rumor based on a picture spotted online. Now, it has been officially introduced by Nokia. Scheduled to be the first Windows Phone 8 model to launch in the world's largest smartphone market, the Nokia Lumia 920T will be available before the end of the year and should cost RMB4599 ($739 USD) off contract. Similar to its flagship Nokia Lumia 920, the Nokia 920T will be equipped with a 4.5 inch PureMotion display with resolution of 768 x 1280. That works out to a pixel density of 332ppi. A dual-core 1.5GHzQualcomm Snapdragon S4 is under the hood (the MSM8960, of course) with 1GB of RAM on board. The Adreno 225 GPU crunches the graphics and a 32GB capacity microSD slot is available. The rear facing 8.7MP camera captures video in 1080p at 30 fps. The front facing camera weighs in at 1.3MP and a 2000 mAh battery keeps the power on inside. 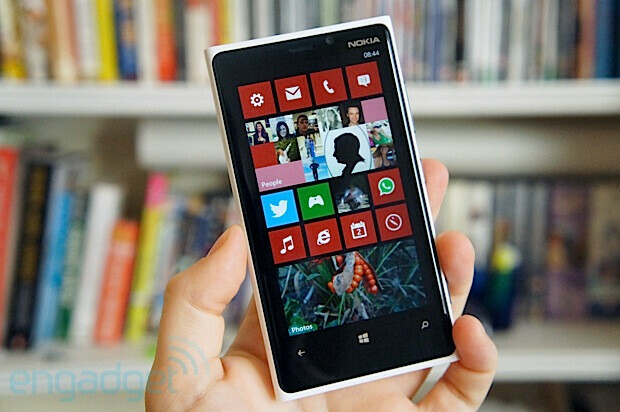 Previously, Nokia had announced that its entry-level Nokia Lumia 510 would be coming to China. With a single-core 800MHz processor under the hood, this model will not compete with the Nokia Lumia 920T in any way. In fact, the Nokia Lumia 920T would seem to be competition for the Apple iPhone 5. On December 14th, Apple's iconic smartphone will be offered by China's third largest carrier, China Telecom. This model should be realeased for international market with Dual core Snapdragon S4 pro chip and Adreno 320gpu. Why? It would just use more power. No one has ever complained about performance issues with the Lumia 920. The lumia 920T uses the MSM8960T (this article is wrong), hence the "T" in the name. It does utilize the Adreno 320. 2000 mAh Camera??! Lunmia 510?? 32GB MicroSD slot?? I see only lunmia as the typo..
Because that was corrected before you saw it. By offering this lumia 920t in china mobile, it would definitely make the sales of wp devices higher! but dont forget, in china you can get a cheap android on below $100 with also dual core! but yeah!! hope to see nokia rise again!! and hoping that they will get 30% of market in china next year! 32 GB microSD slot.....????!!!!! Nokia Why doesn't international model has microSD slot.........???? The performence may be swift but to be a futureproof device powerful Hardware. Galaxy S4 for example will use octocore CPU, and that isn't even comparable to Lumia 920. S4 plus is common in Mid range droids. And specs do matter when buying a phone. When you will ask people which one two go, Galaxy S3, Iphone 5 or Lumia 920 they will say Galaxy S3 cause it has quad core CPU. That's the truth. hope nokia will gain back its market!!! i wish WP will get at least 30% of market in china!! GO NOKIA! kinda unfair that nokia add microSD slot to this version!